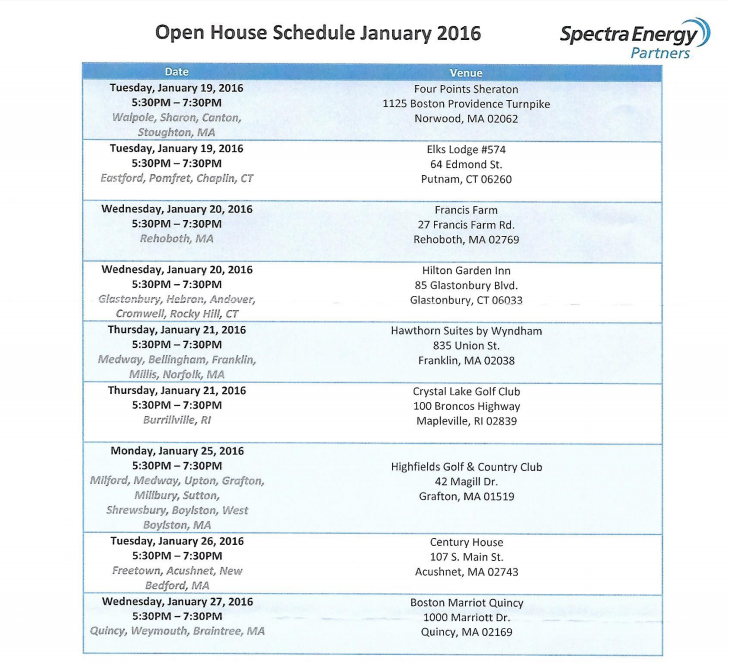 This chart lists all the upcoming Spectra Access Northeast Open Houses coming up. The Weymouth/Quincy/Braintree one is the last one: Wednesday, January 27 from 5:30-7:30pm at the Boston Marriott in Quincy. We hope you can make it to one of them!